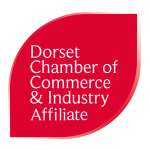 Dorset Chamber is working closely with the Dorset Local Enterprise Partnership in encouraging businesses to have their say on the economic issues facing the county as part of the development of the Local Industrial Strategy for Dorset. As a result of this initiative, Dorset Chamber is holding the following two consultation events in Dorchester and Shaftesbury. This is an important piece of research, which is necessary to develop a strategy that gets to the heart of the key opportunities and strengths for Dorset. A priority of this initiative is that the voice of business is clearly heard within this and encouraging Chamber members to attend these events. For more details on the project visit Dorset LEP.